Richard Frye’s translation from the Persian presents an engaging, readable narrative that recreates the lively intellectual and commercial life of this vibrant ancient city. In the tenth century, Bukhara was a cultural center that rivaled Baghdad, and was known as “the dome of learning in the East.” It was a dynamic metropolis, capital of the semi-independent dynasty that ruled most of present-day Iran and Central Asia. It was in Bukhara that the so-called Persian Renaissance began, with its far-reaching literary implications. Al-Narshakhi portrays not only rulers, but also everyday life in cities and villages. This primary source affords insights into life in Eastern Iran and Central Asia during a period of change in the Islamic world. 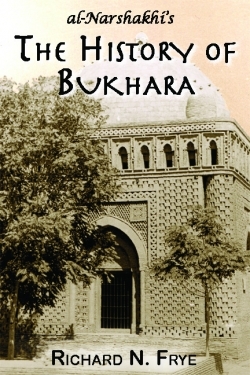 Abu Bakr Muhammad ibn al-Narshakhi of Bukhara, author, wrote the history of his city and presented it to the Samanid ruler Nuh ibn Nasr in 943 C.E. (A.H. 332). This is the only book he is known to have written. Richard N. Frye, editor and translator, is a professor emeritus at Harvard University. He is the author of Ibn Fadlan’s Journey to Russia, The Heritage of Central Asia (also available from Markus Wiener) and numerous other books, which have been translated into several languages.